My first summer on a beer truck, 1969, was also the last year Pearl Beer was the number one selling beer in Texas. Pearl had been in that top position for the previous 15 years, but their biggest markets were all in south Texas. That summer, the brewery workers at AB had gone out on strike, and by July, there was no Budweiser in Dallas, so the Bud drivers picked up empties at the local bars. At the time Coors, where I worked, had all 10 states and a portion of Texas on allocation. Dallas was allocated only 10% of what Coors sold in 1968. The Dallas warehouse was totally empty every morning when we arrived for work with the trucks still full from the railcars that arrived during the night. Each truck had a print out of their daily accounts with a sales history. My job as a college student and helper was to tell the salesman just how much each account was allocated. As you can imagine, there were some pissed off retailers. Schlitz, a strong number two in sales, rented the empty Falstaff warehouse and filled it with inventory. While there was no Budweiser, and limited Coors in Dallas, Schlitz had beer everywhere. By the end of the year, Schlitz has surpassed Pearl and had become the largest selling beer in Texas. In the summer of 1970, it happened all over again. AB went on strike, Coors again was allocated, and Schlitz took advantage of this situation and continued to grow market share. In fact, Texas became the number one volume state for Schlitz. The brewery made Texas a division with a sales team devoted solely to the state. Because of the importance of Texas to the brewery, Schlitz gave the Texas wholesalers quite a bit of attention and the wholesalers responded with an organization called “The Gusto Club.” To support the wholesalers, Schlitz had put together a very effective state sales team. During the late 60s and into the 70s, many of these Schlitz field sales people were hired by the wholesalers to run their operations. Some were even able to buy into ownership of the Schlitz houses. By the early 80s, the self-inflected problems of Schlitz finally caught up with them and the brewery was sold to Stroh. Miller Lite was now on fire in Texas, while Schlitz was losing ground at an alarming rate. The Schlitz wholesalers started to either sell out or acquire Coors in their markets. Coors never established any market share in S. Texas so the wholesalers struggled. The combination of Schlitz and Coors seemed to work at that time. With declining Schlitz sales and the fact that Stroh never got established, Stroh started to consolidate and the lay-offs began. Many of the Schlitz field sales people ended up at Gambrinus and other importers including Molson’s, Labatt’s and Femsa. Some of these companies did well but, most did not and ended up like Schlitz, selling out or being acquired by another beer company. 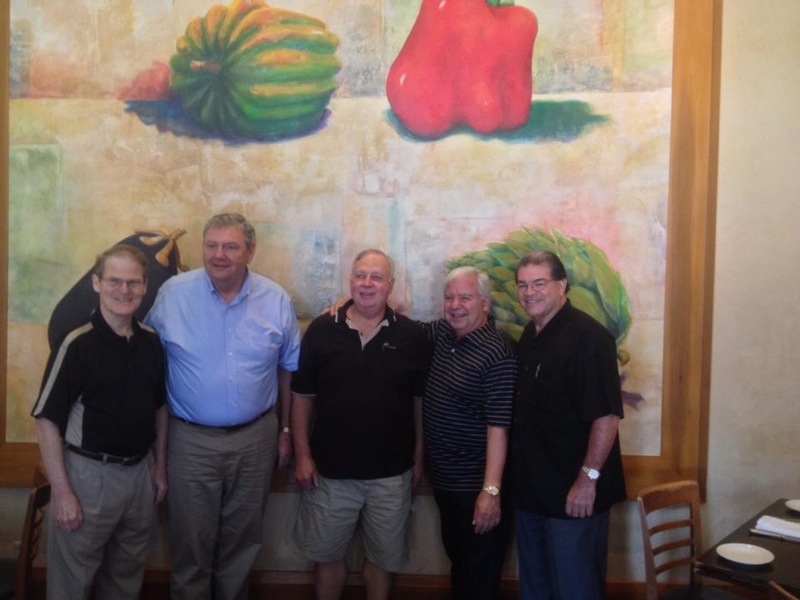 After years of great success with Schlitz, many of the field sales personnel stayed in touch and even today continue to communicate with each other although most are now retired. These men lived through the high times and the death of what they loved, and because of that, they truly are this band of brothers…. Is it the beginning of the end, or the end of the beginning….. Recently published IRI data for Portland, Oregon shows craft beers at a 49% share of market! Along with crafts, imports are at 11% and ciders at 6% share. High-end beers are at an amazing 66% share of market! By the end of 2015, total high-end beers will be well over 70% share. Obviously, the domestic premium beers are the brands taking the big loss in sales. When I left Coast Distributors of Portland in 1990, crafts were just over a 1%, and Coors light, which was our largest selling brand, had just attained 11% share of market. Not far behind was our Pabst product, Hamm’s, which sold over 2 million cases. Now, in just 25 years, the market has flipped. This January, ABI agreed to purchase Morgan Distributing in Portland. Morgan services a portion of the three- county market of the city. Maletis Distributing, who services the remainder of Portland, had made an offer to Morgan, however, ABI choose to match the offer. ABI will now add Morgan to Western Beverage. This will give ABI control over 70% of the AB volume in the state of Oregon. Between 2008 and 2012, AB brands have lost 137,000 bbls. in Oregon resulting in a -3.6% share of market. Maletis and three other small ABI distributors are now the only independent wholesalers remaining in the state. Unlike the ABI operations, however, Maletis has a large portfolio of crafts including Heineken. Columbia, formerly Coast Dist., has MC and the Modelo portfolio, in addition to a number of crafts. ABI also owns the AB operation in Seattle and competes there against Columbia, who also has large operations in Washington. In 1970, Schlitz shipped 15 million bbls. of beer, and continued selling at a similar volume a decade later. Subsequent years have seen a decrease in the downward spiral of sales. By the time Stroh Brewing Co. acquired Schlitz; many Schlitz wholesalers had, or were in the process of selling out. Some wholesalers bought the local Coors house, but many did not see a future and decided to sell while their distributorship still had value. Early 2013, shipment numbers indicated AB has lost 10.325 million bbls., or approximately -4% share of market since 2008. AB has dropped to its current market share of 46% from a high of 50%. MC has lost 7.3 million bbls., -11.3%, in the same time period. In just four years, the two breweries have lost more in volume then Schlitz sold as the number two brewery in the US while experiencing their peak year in 1970! The question going forward is, can the industry look at Oregon and see what is coming? AB wholesalers who did not expand their portfolio’s years ago as Maletis did, are watching their market share drop. Will the AB distributors do the same as the Schlitz wholesalers did and sell out at a premium before they, too, lose additional market share? ABI might see buying these houses as the only recourse to save their remaining market share. To ABI, their ownership in these distributorships is a better option than consolidating AB with multi-brand houses. 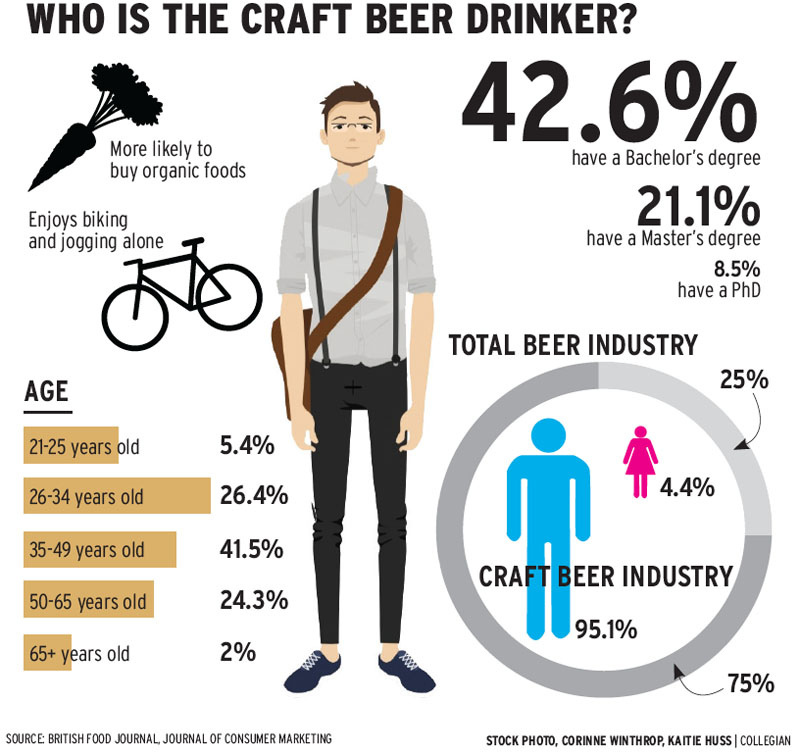 Recently Dr. Pullman, who heads up Portland State’s The Business of Craft Brewing online program, asked, “Have we reached the tipping point in Portland with crafts?” The answer to that would depend upon from which side one views the problem. Meaning, is it the beginning of the end or the end of the beginning? Be different. Be better. Or be cheaper……. If there was ever a city that could be called an incubator for craft beers, it would be Portland, Oregon. When I was with Coast Distributors in the late 80s, crafts were at a one percent share. Now crafts are over 30% share in volume, and over 40% share in dollars. More than ten years ago while visiting Portland, my son, a budding musician at the time, took me to an old converted warehouse where rock bands rented space to practice their music. The building had been converted into small rooms enabling the bands the ability to practice and not disturb others. When we walked into my son’s room, I was surprised by the empty beer cans, all of which were Pabst Blue Ribbon! My son informed me that he and his friends all drank Pabst, then considered an anti-establishment and cheap beer! PBR today is the personification of a retro brand. In 1980, Pabst Brewing Co., after a number of acquisitions, sold over fifteen million bbls. of beer. By 2000, PBR was virtually nonexistent, but due to the resurrection of PBR and its success, Pabst has been the reason more retro brands are being marketed. There are a number of brands similar to PBR that, while they did not totally die, did come close. Many are now experiencing some rebirth. Brands like Schlitz, which has not gotten any traction even though there has been some money behind it; Pabst, which owns Schlitz, targeted south Florida some years ago with billboards, than went to Chicago and Milwaukee, with limited success; and Coors has done a great job and experiencing steady growth once they quit blending the liquid and went back to the original beer and retro label. Then there are some regionals, like Lone Star which is selling better. Investment companies have also been involved in the retro reboot; North American Breweries with Genesee and High Falls used a major influx of cash and did well. The owners recently divested their ownership and moved on. Iron City in Pittsburgh, also owned by an investment group, and with new management, is once again attempting to pump-up sales with the possible intent of selling the brewery and moving on. Then there are those brands like Henry’s, owned by MC, who have reinvented themselves into more of a craft beer and have seen success. Stevens Point is another of the breweries that have quite a history across the upper Midwest has plans to expand in 2014. Outside of PBR, Narragansett has been very successful in coming back, reporting sales near 1 million cases. Likewise, Henry’s has developed flavors with their name attached to the beer. More retro brands are coming as Pabst has plans to re-introduce Jax, a former big brand from Jackson Brewing Co. of New Orleans. Another now in some markets is Drewrys. Once a 1.3 million barrel brand out of Indiana, Drewrys was bought out by Heileman and closed down in 1972. 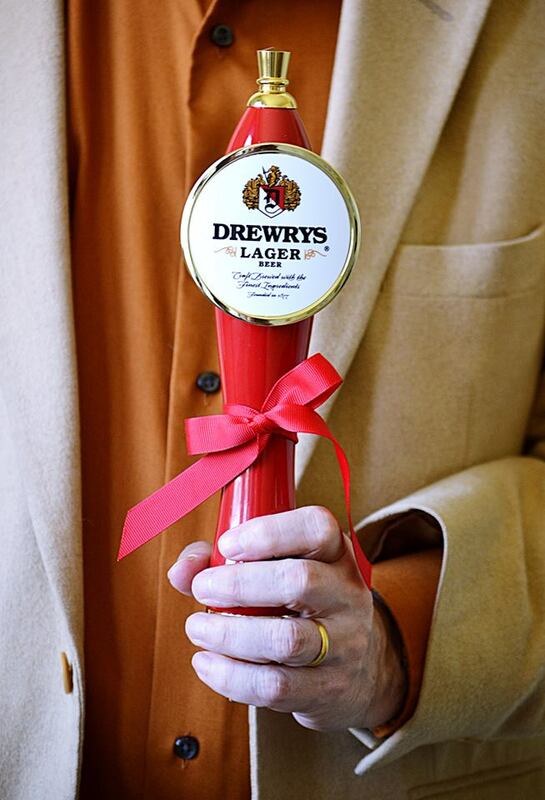 Drewrys is now planning to expand into the Midwest states this year. Retro brands are different from crafts as they have a history and a story to tell. Distributors should take a hard look at these brands and what is behind them. With the right team and the right support, a brand like Drewrys could be a nice addition to the portfolio. For retros to be successful in today’s market, they need to be different, better or cheaper. Many of the salesmen I rode with while working on a Coors truck during my college years were Korean War vets, but the majority of the managers were World War II vets. Likewise, the sales manager at Schepps Distributing during my tenure was a bomber pilot during WWII. These vets were all professionals and very hard workers. While VP of sales with Coors in San Antonio, the president of the company was a retired Air Force colonel (later promoted to brigadier general) and former astronaut, the 10th man on the moon. In addition, we had several employees in the sales department who were Vietnam vets. A couple of them came to Coors of Kansas to work with me. Two of these vets were able to land jobs at AB houses in key positions. Recently I had the opportunity to work with some returning vets from Desert Storm and Afghanistan. Last summer I was invited to participate in a fund-raising event at a golf and ski resort in the UP of Michigan. The golf tournament helped raise money to enable the purchase of adapted ski sleds designed to give special needs children the ability to ski. While there I had the privilege of meeting a gentleman by the name of Paul Jenkins, a Naval Academy graduate and former Navy pilot. After leaving the Navy, Paul decided to pursue a career enabling vets the ability to find meaningful work. He came upon the idea of starting a craft brewing company that employed only war veterans. After doing quite a bit of research he started The Veterans Beer Company. Along the way he received support from many industry people, including Pete Coors, who provided technical expertise on brewing and helped with some potential distributor interviews. Veteran, headquartered in Chicago, currently brews two beers: The Veteran, an American lager, and The Blonde Bomber, a blond ale. Both beers are contract brewed by other veterans. All of Paul’s employees are vets. The beers are currently available in only two states: Illinois and Indiana. According to Paul, sales are ahead of plan and Veterans has received wide publicity, being featured in national news reporting including Fox News and The Today Show. 2014 will bring plans to expand the company. Distributors and retailers are swamped with all the new beers that have hit the market during this craft implosion. Decisions must be made as to which breweries a distributor will represent and those decisions are made given a number of key considerations. Regardless of what those key components are, there needs to be a story behind the beer. As a distributor, I could not think of a better story to tell my customers, or offer a beer with a more compelling story than that of Veterans Beer. Visit the Veterans Beer website, www.veteranbeercompany.com and take a look at the company. When Veterans comes to your market, do what you can to help them. Douglas MacArthur said “Old soldiers never die, they just fade away,” but the beer industry can, and should, do our part to keep our vets from fading away.